John Barrymore stars as a sadistic impresario who will stop at nothing to achieve his ambitions in this wild and wicked pre-Code drama directed by Oscar winner Michael Curtiz (Casablanca, 1943). Crippled in mind and body, half-crazed puppeteer Ivan Tsarakov (Barrymore) fulfills his dream of becoming a ballet dancer through Fedor Ivanoff (Donald Cook), whom he trains to become the world’s greatest danseur. Jealous of his pupil’s success and fearing love will thwart Fedor’s career, Tsarakov has smitten ballerina Nana Carlova (Marian Marsh) dismissed from the troupe in a cruel and ruthless act that leads to blackmail and murder. The tenth and final film John Barrymore made for Warner Bros., The Mad Genius also stars Charles Butterworth, silent-screen siren Carmel Myers and Boris Karloff in a pre-Frankenstein role as Fedor’s abusive father. 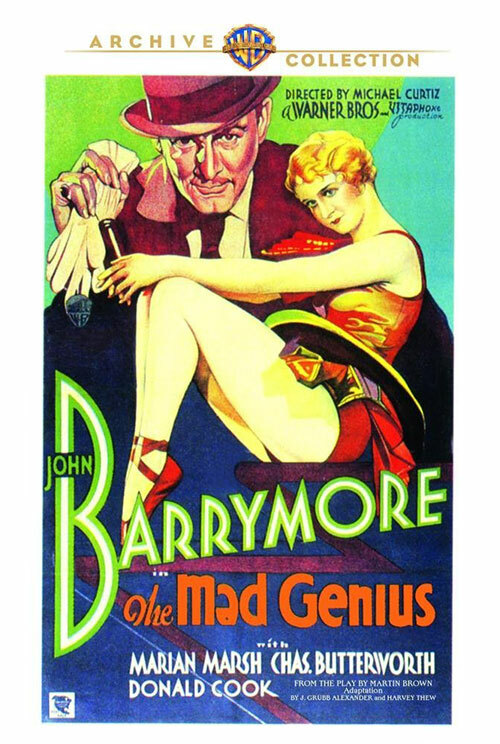 0 Response to "The Mad Genius (1931) Michael Curtiz"